Good. 0394741129 Ships promptly from Texas. Good. Slight browning around edges of pages. Darker browning inside covers. Previous owner's name written on flyleaf page. 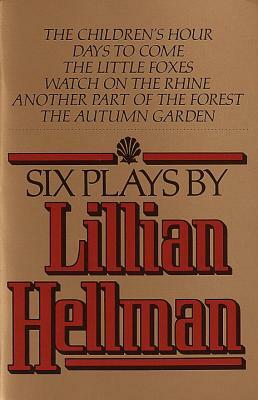 494 p. Six Plays are: The Children's Hour, Days to Come, The Little Foxes, Watch on the Rhine, Another Part of the Forest, and The Autumn Garden.